Pump inlet strainers prevent pump breakdowns caused by particles in the water. Transparent housing allows instant inspection. Screw off top allows quick in-place cleaning and removal of debris. Flojet Quick Connect Quad System allows for easy hose removal and fast system draining and winterizing. All Quad fittings fit directly into the Quad II pumps . 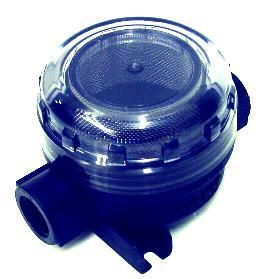 Pump inlet strainers with fine stainless steel filter screen. Prevent unnecessary pump breakdowns caused by particles in the water. Transparent housing allows instant inspection. Screw off top allows quick in-place cleaning and removal of debris.